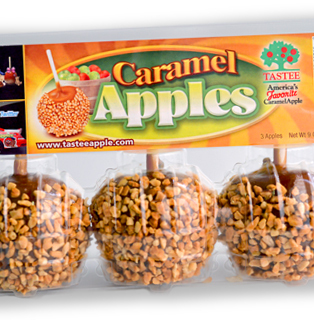 What marketing activities have you used to sell your caramel apples? While we have done many types of marketing over the past 40 years including traditional advertising, store displays and online campaigns, word-of-mouth marketing has really been the key to increasing sales. We try to focus on creating the highest-quality candy and caramel apples available so that customers are inspired tell their friends about our products. And this take a lot of extra work. For example, the minimal, apple-rating standards our competitors follow were not good enough for us. Instead of just looking at the apples that arrive at our facility, we measure the fruits’ firmness to ensure it meets our crispness requirements. Only after passing our stringent, rating requirements and cleansing processes do the apples get dipped in our scratch-made, small-batch, kettle-cooked caramel. And from there, they are carefully packaged and sent via refrigerated trucks to stores with our freshness guarantee. Because of all these extra and unique steps, customers taste the difference, and we are able to surpass the competition. What tips do you have for female entrepreneurs out there starting a “food industry” business? Starting any type of business takes passion and a lot of hard work. I grew up surrounded by 4,000 apple and peach trees on my family’s property in Ohio. I love apples and they have always been an important part of my life. Today, my business is driven by family pride and my desire to give consumers the best-tasting candy and caramel apples available. If you are going to go into the food-industry business, it’s important to offer products that you would want to share with your family and friends. If you cut corners to save money, your consumers will notice. You can have a competitive edge by providing unique, fresh products made in the best way possible. If you started your business over, what one thing would you avoid doing? When I first started creating and marketing our caramel apples, I worked long hours and often slept in my office. If I had to do it over again, I would have spent the extra time to find and hire great team-members to help me finish tasks. As an entrepreneur, sometimes you feel that you need to do everything yourself in order to be successful. But if you find the right people to help you, your business will grow much faster. Thanks for your great tips Greg! 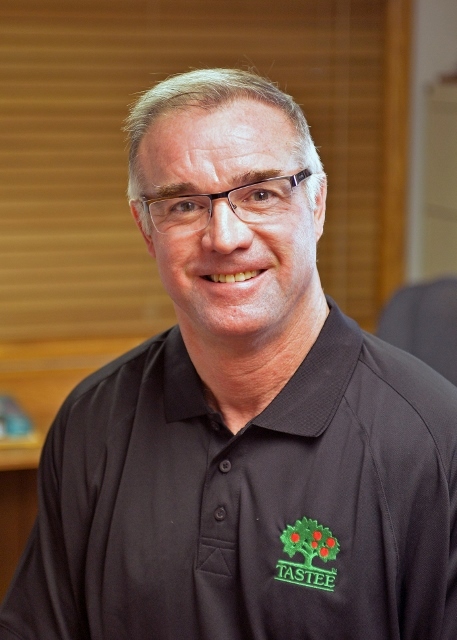 If you have questions for Greg or would like to find out more about Tastee Apple, visit www.tasteeapple.com. And if you need help boosting sales for your business with content strategy and PR, please write to me at www.rembrandtwrites.com. Author Melanie Rembrandt of Rembrandt Communications® helps businesses boost sales, awareness and credibility via BtoB SEO content strategy and public relations. If you need help getting noticed with a weekly, SEO blog, regular online-content and more, visit www.rembrandtwrites.com for more information.